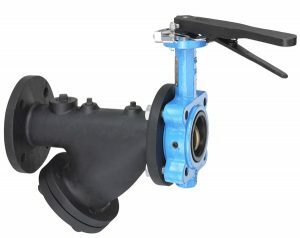 Model SVF is a combination strainer valve featuring a cast iron wye strainer with removable stainless steel strainer screen, bolted cover with blow down connection and ANSI 125# Flanged End Connections. 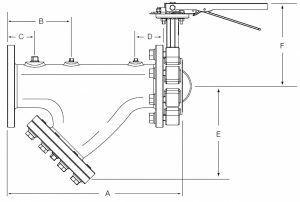 Mounted on the inlet is a ductile iron lug type butterfly valve. Screen Opening: 2″ – 6″ 0.045 perf. 8″ – 12″ 0.125 perf.